Is Net Promoter® right for you, right now? Many companies use the Net Promoter System® to connect to their customers and drive profits. 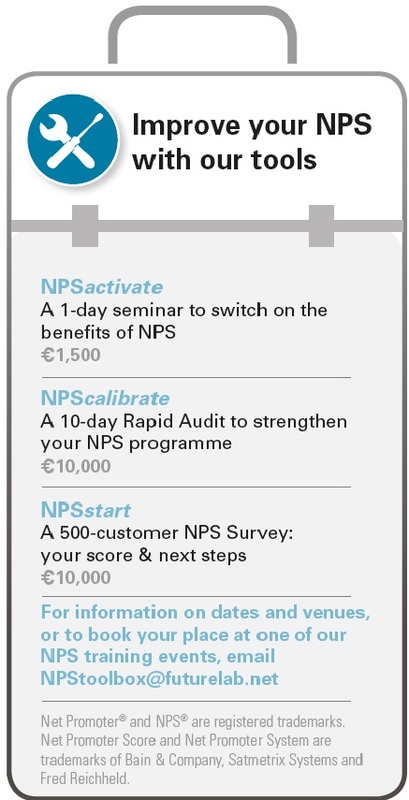 But for others, it’s not yet clear how NPS can benefi t their business. “What is it? How does it work? Will it work for us? How much will it cost? How much will it make? Who else is doing it? Should we do it? 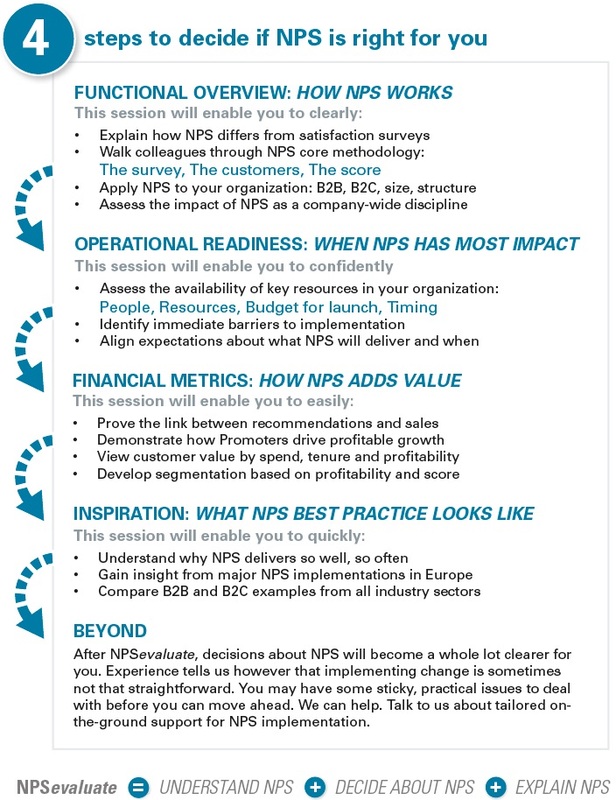 Be part of this seminar and next time someone asks you about Net Promoter®, you’ll be ready to give an informed and confident assessment of NPS and its place in your business. Senior loyalty or marketing managers who want to get clear, impartial advice about NPS, and enable their organisation to decide with confidence. Our seminars are led by pragmatic Net Promoter professionals with extensive ‘on-the-ground’ experience. We know when NPS® is right and we know when it’s not. The Futurelab philosophy is to tell you honestly. Futurelab is an international customer-centricity boutique. Our associates have delivered many of the world’s largest NPS programmes in Europe and America. All our Associates have learned about NPS practice in the trenches of corporate reality and many have also obtained formal certification in the field.